You are here: Home » Setting Up A Swedish Christmas Table (Julbord) or Easter Table (Påskbord) Here in Canada! It’s only November, but we are already thinking about setting up our Swedish Christmas Table (Julbord). You are even starting to see signs of Christmas around town. The chilly air and sweet spices of Yule time are already starting to fill our noses. Christmas in Sweden is a very special time of year, and many great traditions are celebrated no matter how far away you are. One of the most beloved is eating the Swedish Christmas Table or Julbord with its various cold and hot dishes. Most of the items are also served at the Easter Table (Påskbord), as well. It includes the obligatory item and star of the table, the Swedish baked ham, which is cured, but not smoked and finished with a sweet mustard glaze and a roasted breadcrumb coating. Mmmm… my favorite part of the Swedish Christmas is eating! You will have sensory overload sampling this Christmas smörgåsbord, as the Julbord covers every taste sensation from sweet, sour, savory, bitter to spice-filled. To experience a real Swedish Christmas, you can create an authentic Julbord by trying some of the Swedish Christmas recipes found on Sweden.se. We will also cover where you can find essential ingredients for the Julbord across Canada. Here is a list of typical Julbord items to get you in the Swedish spirit. Julmust/Swedish Christmas Soda, Svagdricka (A sort of Swedish root beer), Snaps/Aquavit, Beer and Glögg! After much research, as well as word of mouth, I bring you my list of where to find the essential ingredients to “duka upp” your own Swedish Christmas table at home in Canada. This was no easy feat, as Canada is huge! Unfortunately, this list doesn’t cover Montreal or Quebec, as my French is far too limited to peruse the French sites. If you’d like to add to this list for that region or anywhere else I haven’t covered, feel free to email me and I’ll gladly update this page! Pretty much most of the ingredients can be had from regular grocery stores. I will list those ingredients that need to be bought at a specialty store and where to find them. I’ve also given you some prices just to give you an idea as to how much things cost. Please note that availability and prices below are subject to change, so please call the store first before heading out there. Get Your Christmas or Easter Ham On! A Swedish-style ham is basically a raw, un-smoked ham that has been cured in salt brine for at least 24-48 hours. Swedes then take it home and bake it until it is cooked. It is glazed with a sweet mustard and coated with breadcrumbs to finish the ham off in the oven. Many butchers in Canada call this Gammon ham (from the Brits) or green ham, and many butchers can provide this type of ham on special order. If your butcher claims not to have it, ask them if you can order a raw ham and either you can cure it yourself or get them to cure it. Just tell them to skip the smoking part. You will have to get a brine recipe either online or even ask your butcher if they can give you a recipe. Some places even have brine kits. It is very easy to do, but it just takes some prep time if you really got to do it the true Swedish way. The following places have the Swedish-style ham already cured. To help the store better understand your Swedish ham, use the terms in parentheses ( ) for that particular store. All these stores have asked that you place your order 1-2 weeks ahead of the planned pick-up time and especially if that is right before Christmas. The Friendly Butcher (Green ham), $6.99/lb boneless, local ham. Ask for Chris, the butcher. 3269 Yonge St. (accessible by Lawrence subway station and a 5-10 min walk). Please make sure you give AT LEAST 1 week before pickup time. More Swedish resources in Toronto can be found on my Swedish Food in Toronto page! Prince sausages are basically cocktail wieners or small sausages that taste like regular hotdogs. They are a quintessential item on the Julbord. The following brands are found all across Canada. But if you don’t want to go through the trouble, simply use regular-sized hotdogs and cut them in 2 inch or 5 cm pieces and fry them in butter to brown them a bit and give it a nice glisten. You can also find cocktail wieners at Polish or Russian ethnic grocery stores or delicatessens. Swedish-style anchovies (also called Sprat Fillets) and herring are marinated in a sweet, salty and spiced brine (with notes of allspice and bay leaves) and come in a variety of flavors. Some popular ones are mustard, garlic, dill and anchovy-spiced. To make your Julbord even more authentic, you should have AT LEAST two varieties at your table and many more if you want to delight your Swedish guests! And to make the classic Janssons Frestelse (Jansson’s Temptation) potato casserole, you will need to get the Swedish anchovies to make it. You can find a lot of different pickled herring varieties at Russian, Eastern/Central European, Baltic countries’ shops, as herring and fish are quite common in those regions as well. Here are a few places that specifically sell Swedish fish products, like Abba. Luckily, Gravlax (or marinated salmon) is available at most fish stores or bigger retail chains across Canada. 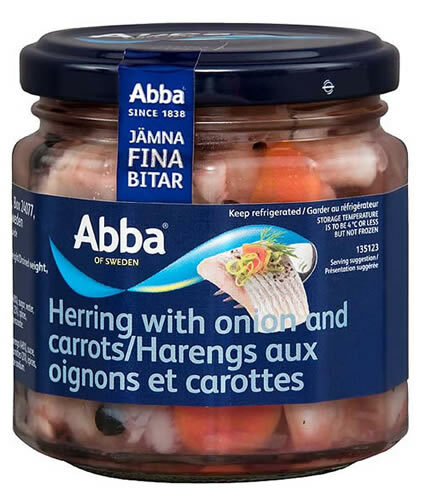 UPDATE: I got a great tip from a Swedish IKEA Saleswoman to substitute IKEA’s brand of Matjes Sill at the Swedish Food Market for Abba Grebbestads Ansjovis Original in Janssons Frestelse (Jansson’s Temptation potato-anchovy casserole). I taste-tested this because I couldn’t find Abba in San Diego where I was last Christmas. It tasted really nice. 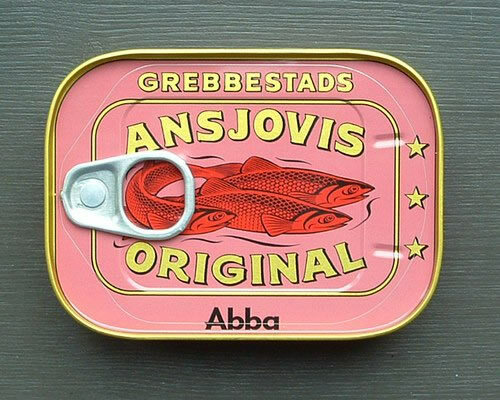 Now I don’t have to hunt down Swedish Ansjovis (don’t substitute with the Italian anchovies one used on Caesar salad, it’s not the same flavor). 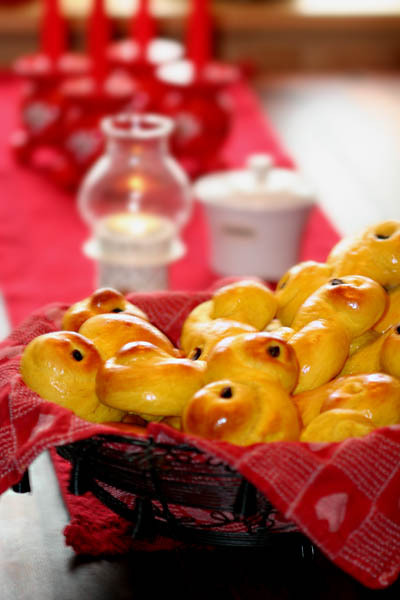 By the way Jansson’s Temptation is also served at the Easter Table along with many egg dishes, which is coming up very soon! In addition to the fish dishes, there’s a wide array of cold cuts and cheese that range from traditional (pressylta/headcheese, liverpate, Herrgård cheese and salami) to imported (Mortadella, Whisky Cheddar, and Manchego just to name a few). These items are widely available at regular grocery stores, delicatessens and cheese shops across Canada, so I will only mention the name brands to look out for. You can call each company’s customer service to locate the closest retailer. Unfortunately, due to heavy regulation of dairy products into Canada, Swedish cheese is both rare and expensive. Arla has recently started exporting Herrgård and it can be found at Loblaw’s, Real Canadian, and other major retailers. It is around $10 for 125 g, a quite decadent price, so your best bet is to try other local cheeses for your Julbord. I got a tip from someone saying this is a good cheese to replace Västerbotten cheese. Beemster is a Dutch cheese available at most specialty cheese shops and larger retail chains in Canada. Västerbotten is used a lot in Swedish quiche, so you can use this on your Julbord as a nice cheese or for Paj on your Julbord! Pressylta (Headcheese/Saltison) usually available at most specialty delicatessens and Central/Eastern European shops. These are also popular to eat during North American Christmas, so you can find Anna’s Ginger Snaps and Nyåkers Pepparkakor in many larger retail shops like Whole Foods, Loblaw and Real Canadian Superstore, as well as European/specialty shops across Canada. You can use a white, short-grain rice, such as Arborio, or British porridge rice if you’re making your own Christmas porridge. It is basically a rice porridge boiled in milk and spiced with cinnamon. 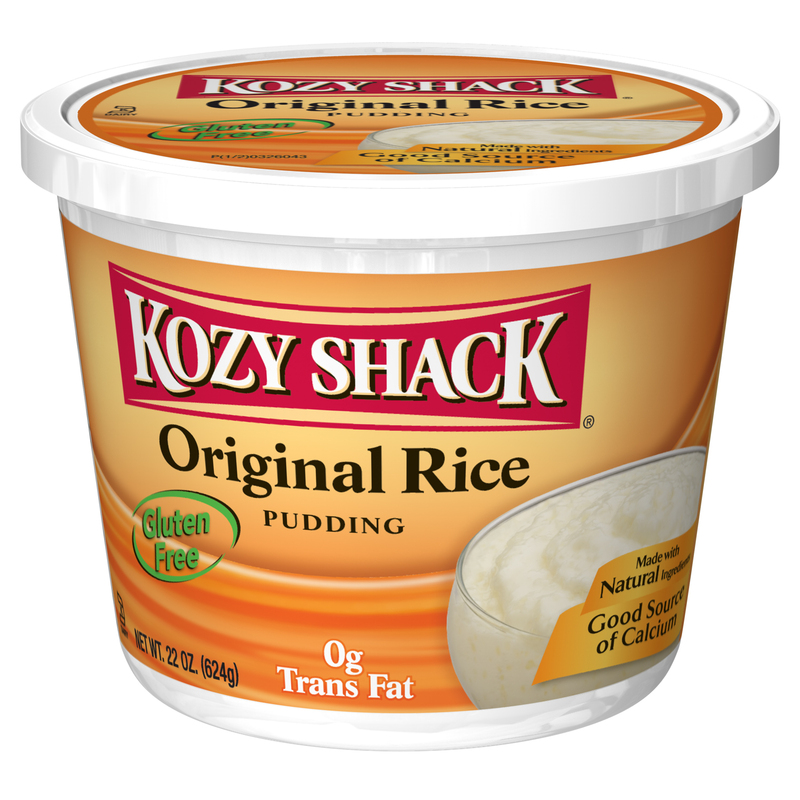 If you’re lazy, Kozy Shack has a Rice Pudding that tastes a lot like Julgröt. Just sprinkle a bit of cinnamon and serve it cold. Julgröt is a favorite Christmas Day breakfast in Sweden served with the leftover Julbord ham and other cold cuts. Yes, Swedes eat sandwiches for breakfast! This is extremely difficult to find in Canada and not as difficult to find in the U.S., as there is a good importing company in Chicago that gets a lot of Swedish stuff and distributes it all across the U.S. The only salvation is if you live in Toronto, since the SWEA Toronto organization usually imports this Christmas drink every year by container and boat. Julmust may be bought at their local SWEA Christmas Fair in November. You can also sometimes find it at Beaches Bakeshop in November and December. It is owned by a Swedish woman and you can find some other Swedish groceries as well as some pastries and candy for you sweet lovers. Also check with The Swedish Church at 25 Old York Mills Road in Toronto, as they sometimes (like this year) have stock of brand name Julmust! So, if you happen to be in T.O. town, you’re in luck! A. Make Julmust yourself with SodaStream! You’ll have to get it from Sweden somehow. Your relatives can order it here. B. Order Grandpa Lundquist Christmas Soda on Amazon at wine-like prices! Yes, the company that carries them is in the U.S., but they do ship to Canada. Be prepared to pay for import duty. This one sounds really tasty as it is made with cane sugar and is in glass bottles (I personally believe it makes soda taste much better!). If you have tried it, please feel free to comment! C. Buy Julmust at IKEA! IKEA is selling their own brand Julmust this year all across Canada for a mere $1.30/bottle. I think it tastes decent, at least! But, if you have no choice… See it here. It is quite popular to drink beer with the Julbord. There is one Swedish porter that is now available in Ontario (don’t know if it is available across Canada) called Sigtuna Midvinterblot, available soon at LCBO for $4.50/bottle by Sigtuna Brygghus. According to some reviews, it’s a black beer with brown head, and has salt licorice, chocolate, vanilla and roasted notes with a fruity finish. Another Swedish beer by Spendrups AB is now available right here in Toronto called Pistonhead Lager, for those who like a lighter beer. You can purchase this at the Beer Store. If you’re trying to be 100% authentic, try adding Swedish beer to your table! Ham and beer is always a good combo! If you must have Swedish chocolate, Marabou is now available in many places in Toronto, like Hansen Danish Pastry thanks to Viking Imports. You can even buy directly from them and get it shipped to you anywhere in Canada, as they have started importing it since last year. 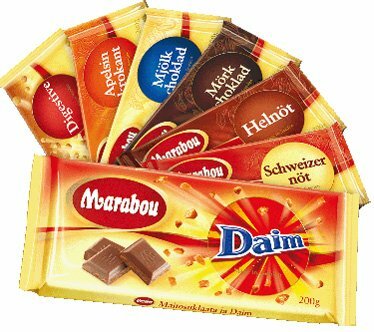 If you want Marabou sold in your part of Canada, just talk to your local specialty grocery store and tell them to contact Viking Imports, as they sell wholesale to other businesses. Right now, they only have the regular chocolate bars, and I don’t know if they will try to bring the chocolate boxes like Paradis that are so popular during Christmas. 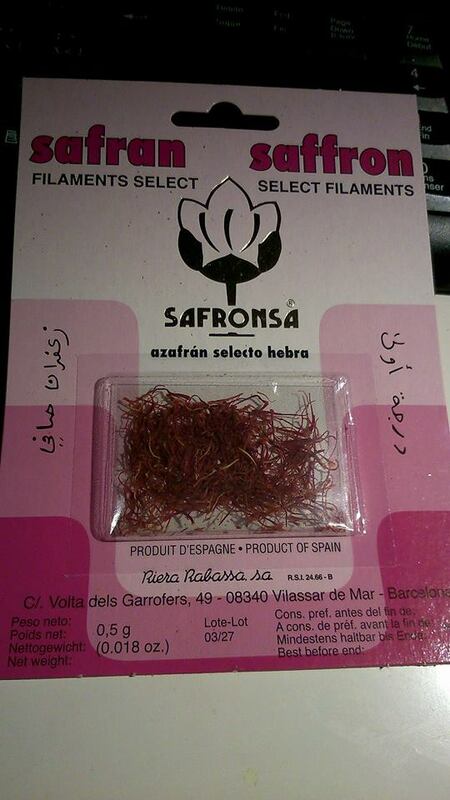 Anna at Beaches Bakeshop has a lot of Swedish saffron in her shop, and she claims that is way better than the other kinds of saffron you can get around town. It is by Kocken’s and costs $6 for 0.5g. Come by her shop! Bread is the essential accompaniment to the Julbord. You need a good variety of crisp bread (or cracker-like rye crisps) and soft breads to serve with almost every dish. Crisp bread is spread with butter or margarine and served primarily with the herring and fish dishes. It is available everywhere by Wasa or FinnCrisp, as it is quite popular for the non-Scandinavians alike. You can find it near the crackers section at your local grocery store. Soft rye bread is also available all across Canada, but unfortunately, it tastes no where near as good as Swedish rye bread (limpa), in my opinion. Swedish rye bread is slightly sweet and nutty tasting, has a dense, chewy and moist crumb and has a somewhat “shiny”, dark and smooth crust. I find most of the rye bread you find (by Dimpflmeyer for example) tastes a bit too sour, too spiced (like pumpernickel) with caraway and/or is more like Russian rye bread. You can opt to make your own bread instead. If you just aren’t a baker, I have found the closest available bread in our area is Rizhsky Russian rye bread (at Yummy’s) and the Estonian Sweet and Sour loaf (at Hillside Café), which tastes like a cross between Vörtbröd and Kavring, but not quite the same. Again, these are spiced with caraway, so some, like my husband, don’t care for that flavor! SWEA Toronto hosts a huge, annual Christmas Fair that not only sells Swedish design, Christmas decorations and food, they also sell a large amount of favorite, name-brand imported food and groceries that are listed in this post. This includes Marabou chocolate, candies, spices, coffee, baking ingredients, and much, much more! Many Swedes in the area stock up on Swedish hard-to-find essentials, so if you plan to be in Toronto on the third weekend in November, then stop on by! Contrary to popular belief that Swedish food is bland, Swedes use a lot of different spices in their pickling juices, and especially in their baked goods around Christmas! Here’s a translation of the spices commonly used during Christmas (and a few notes). Brödsirap or Ljussirap/Bread Syrup or Light Syrup – Use Lyle’s Golden Syrup available at Bulk Barn and bigger grocery stores. You CAN use light or dark corn syrup, but the consistency may not come out the same as Lyle’s Golden Syrup when making knäck. To make a darker syrup, use Molasses to darken to the desired color. This is an essential ingredient to make knäck/caramels and pepparkakor/gingerbread cookies. 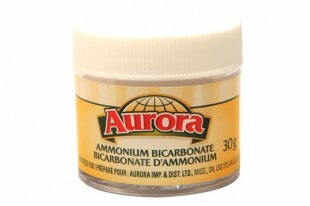 Hjorthornssalt – Ammonium Bicarbonate (widely available as Aurora Ammonium Bicarbonate in the baking section near the baking powder and baking soda). It is used primarily to “crisp up” cookies and treats. Färskjäst – Fresh Baker’s Yeast is normally only sold to bakeries direct. If you find a friendly baker who would be willing to sell it to you, it is pretty cheap at approximately $10/kilo. You can store it frozen in your freezer for a long time, cut a piece you want to use from the chunk and let it thaw in the fridge until you use it. In Toronto, Hillside Bakery on 594 Mount Pleasant Rd, 416-544-1222 and Beaches Bakeshop on 900 Kingston Rd, 416-686-2391 are willing to sell you baker’s yeast. You can also find it frozen at Yummy (a bit hard to find, so ask at the store for frozen yeast!). In Ottawa, you can also find it at Swiss Pastries, 1423 Star Top Rd, 613-749-3770. Just make sure you call ahead! So 50g would be about 25 g of active dry, or three 8-gram packets of Fleischmann’s Active Dry Yeast. Pommerans – Bitter orange, Seville orange, sour orange, bigarade orange – available at Herbie’s Herbs which is in Toronto but ships across Canada. It is in powder format and is often substituted with regular orange zest in many recipes. Bread spices are used to flavor certain Swedish rye breads. If you can’t find the ready-made blends, you can certainly mix your own and use according to taste. You can use a coffee bean grinder to grind your own spices. These are quite strong seasonings, so use sparingly. Thank you so much! I live in Ottawa and decided to try to make Jansson’s Temptation – but had no idea where to buy the sprats. Now I do. Hooray! Hi there! Thanks so much for putting this page together for us poor swedes having a heck of a time finding our ingredients! I’ve recently moved to Victoria BC and am having no luck finding 2 things I need for my Julbord. Lutefisk as well as lojrom caviar for the eggs. Sorry it sent before I was finished. I was saying I could find lutefisk in Calgary when I lived there. Hi Carina, Lutefisk will be tough to find, I must admit. But I found this company in the U.S. (Minnesota) who you can call to see if they know where you can get it in Canada (or maybe even Seattle, if you are willing to take a ferry there for it :-)). Try this place http://www.olsenfish.com/about.cfm. Also regarding löjrom, it is called “Golden whitefish caviar” and it is available here in Ontario, so I believe you can get it in Victoria. Best to try a fishmonger/fishmarket that knows where you can buy caviar or roe, from cheap to expensive. You may be able to substitute it for the Japanese caviar/roe used on sushi (small egg variety). I hope this helps and let me know if you find anything and I’ll update my page! Have you found Cloetta Juleskum candies for sale anywhere in Toronto or elsewhere in Canada (e.g. Vancouver)? Thank you for the great tips. I was just going to mention you can get dried pieces of Pommerans at Dan’s Homebrewing Supplies on East Hasting’s in Vancouver.